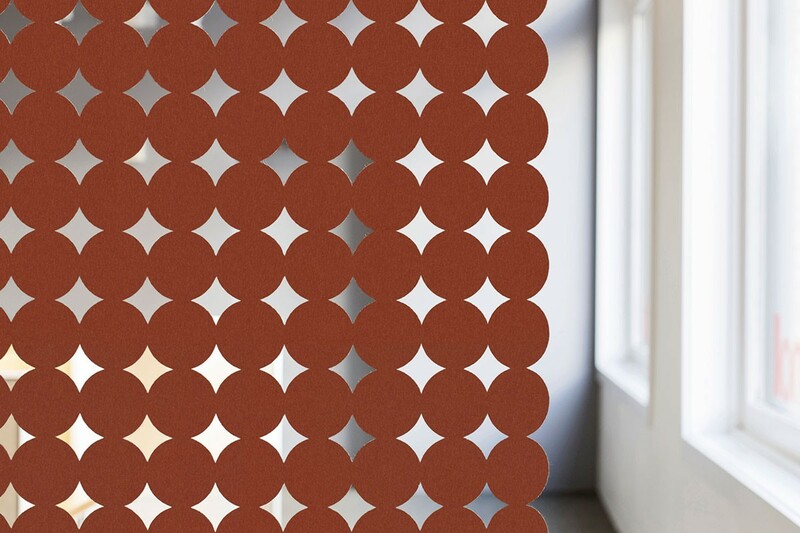 The Polka 90 Hanging Panel highlights the small-scale circle. The play of addition + subtraction and positive + negative creates a simple, yet powerful pattern. 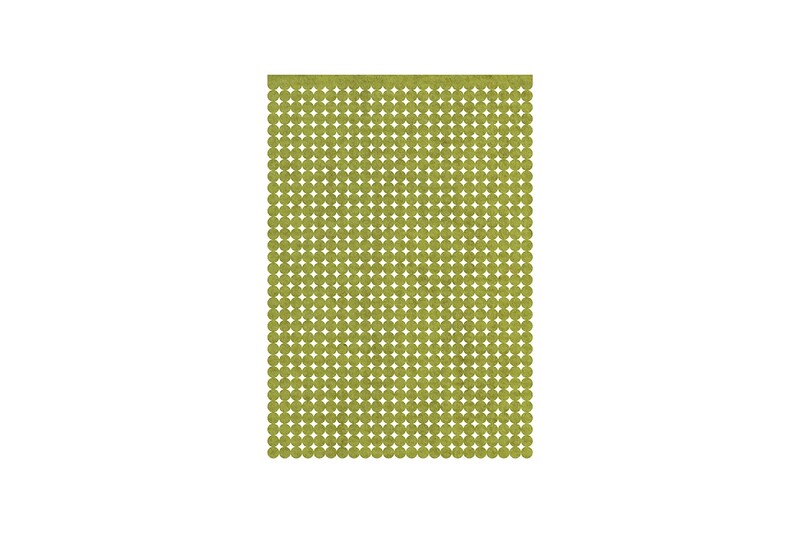 This design is comprised of a grid of 3 inch (7.6 centimeter) diameter circles aligned on axis vertically and horizontally.